What is NVMe? For those not keeping up with the latest advances in tech, NVMe is a M.2 form-factor flash-based storage device which attaches directly to the system’s PCI Express bus. These flash devices are present in modern desktops and laptops and offer transfer speeds of several GiB/s. Haiku that aims to be an open-source OS based off BeOS now has support for NVMe SSDs. This driver didn't make last September's Haiku R1 beta but now being found within the latest development code is for NVMe SSD hardware. Now, it appears that the Huawei P30 range has access to download VLC from the Play Store, which either suggests that VideoLAN is working towards reinstating the app, or that it just hasn't got round to updating the Play Store block to cover the new phone yet. It's still blocked on older models. We are now seeing a new trend in the industry: product vendors integrating with selected open source projects to deliver specific capabilities, along with a licensed proprietary commercial platform that delivers the user experience. This lets software developers utilize the best open source technology under the hood for specific functions, along with smaller set of code that delivers the user experience and capabilities. We don’t need to ask if enterprises are using open source. They are, and we know because we’re helping many of them with their open source journeys. But how do they think about open source, why do they choose it, and what do they intend to do next? Well, those are questions we wanted to pose to IT leaders—so we did. Today we’re excited to share our findings in a first-ever report conducted by Illuminas and sponsored by Red Hat, "The State of Enterprise Open Source." Some people still insist open source and Linux are fighting a war against the evils of proprietary software. Actually, we won that war years ago. The latest Red Hat State of Enterprise Open Source report, based on 950 interviews with worldwide enterprise IT leaders, makes that crystal clear. 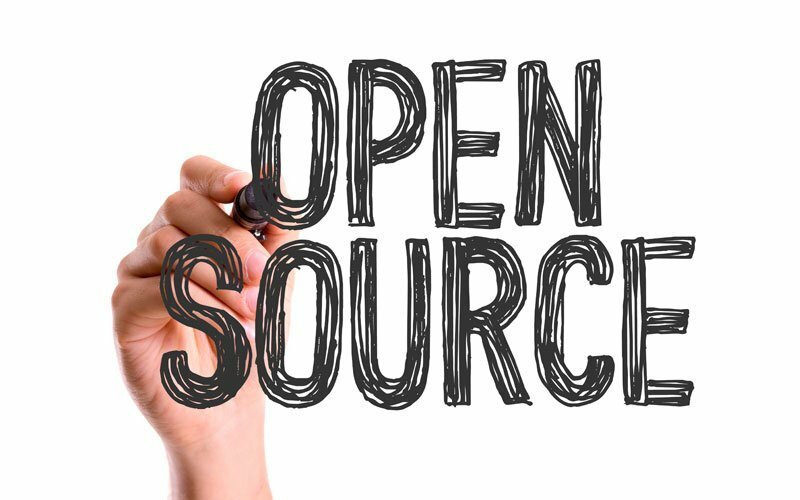 Only a mere 1% of enterprises dismiss the importance of open-source software. Historically, businesses turn to open source software because it's cheaper: 33% of enterprise users count it's lower total cost of ownership (TCO) as open-source's chief benefit (but "enterprise open source is increasingly used not because it's cheaper -- though it often is -- but because it's genuinely better software." And 29% turn to open source because it gives them access to the latest innovations. For example, big data, artificial intelligence, and machine learning are all built almost entirely on open-source software. Right behind those, when asked what open source's top benefits were, respondents pointed to better security, higher quality software, access to support, and the power to customize software. Yet another reason to embrace open source, according to a New York-based IT leader, was: "For us, this is our way to become more agile. That's our biggest push. We don't want dependency upon these proprietary companies. We want those shackles to be broken." Simultaneously, "We still want support because we're not ready to take off the guardrails." On the other hand, security remains a concern: 38% of those surveyed identified security as the top barrier. That's because, unless you keep on top of open-source code, you may miss security patches and fixes. The most well known such case was when Equifax exposed 143 million Americans' credit data, thanks to not updating Apache Struts. The Red Hat Enterprise Linux 8 Beta lab (with three time slots) will be applicable for nearly everyone and cover topics from AppStreams to yum. The Application Streams lab will be more for Red Hat Enterprise Linux 8 application development including container development with Podman and Buildah. If you’re not familiar with Application Streams, read Langdon White’s Introducing Application Streams in RHEL 8—he not only wrote the article but is also one of the lab instructors.